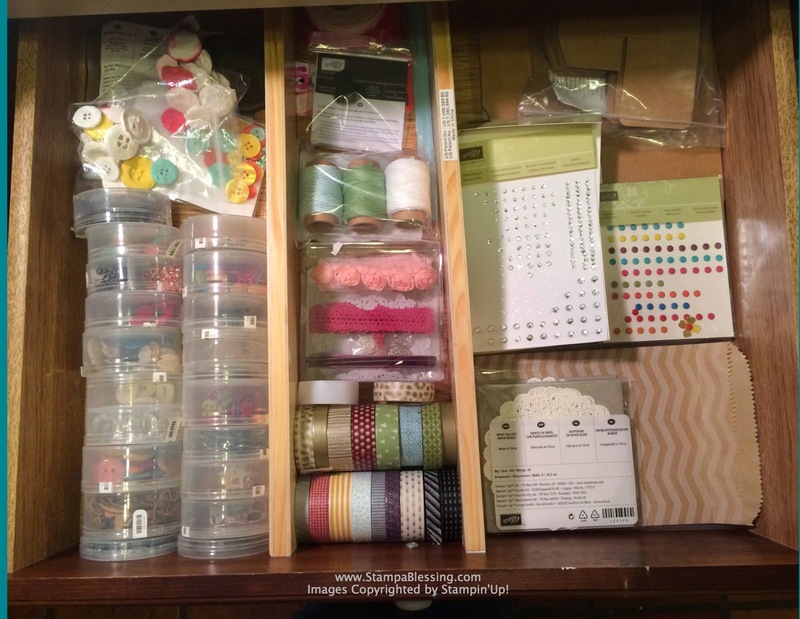 I told you I was going to share how I am organizing my space at this time (this may change!) so I better enjoy it, eh! Click HERE to see my other posts on organization. Last month I showed how I keep my Big Shot items. 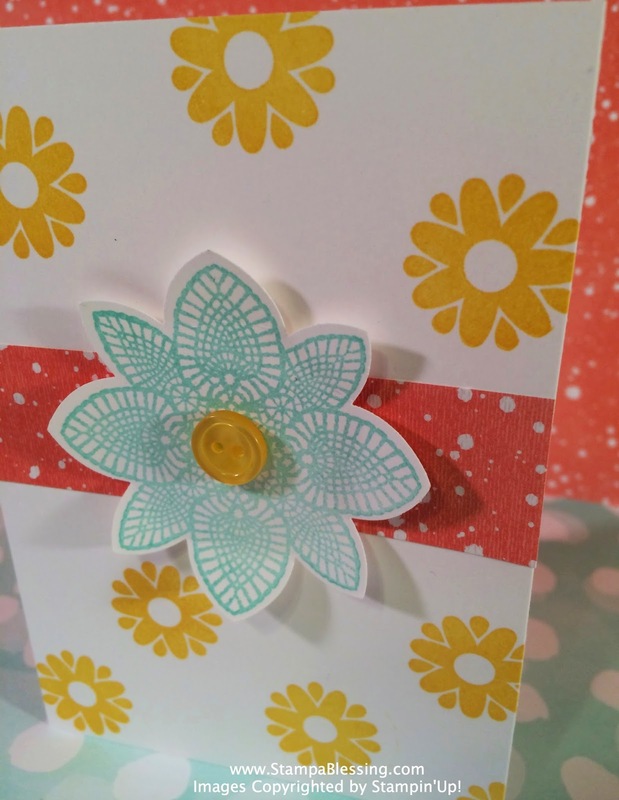 Tomorrow I will show you what I've done with my Paper Pumpkin stamps to keep them easily available and pretty too! 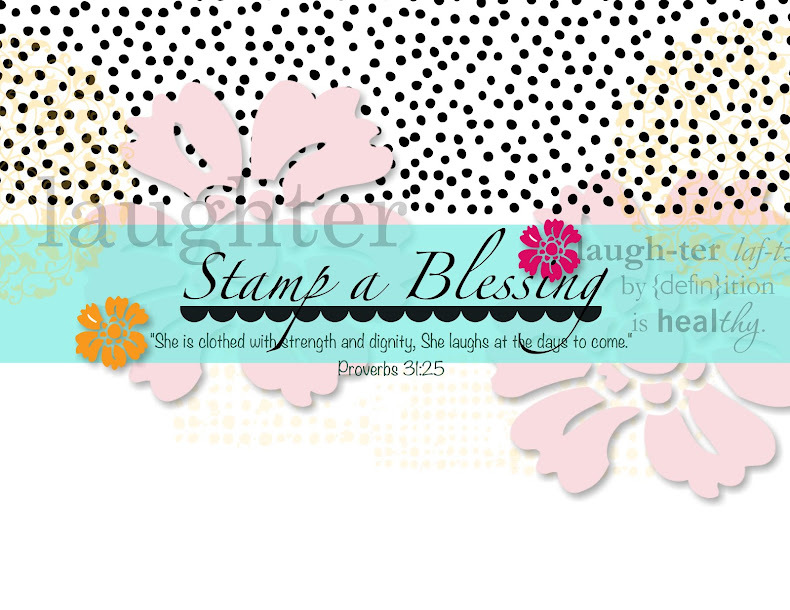 Now this cute sample to the left is from a set of cards I made and I will be showing you coming Thursday, stay tune. Is so cute you may love to get this Petal Potpourri Bundle. Sweet! I have a set of 3 nice drawers in the laundry/craft space that called for crafty supplies. Don't you think? These drawers already had divisions when I moved in. Just great! Smaller punches and circles and scallop circles together. Border punches on the side. 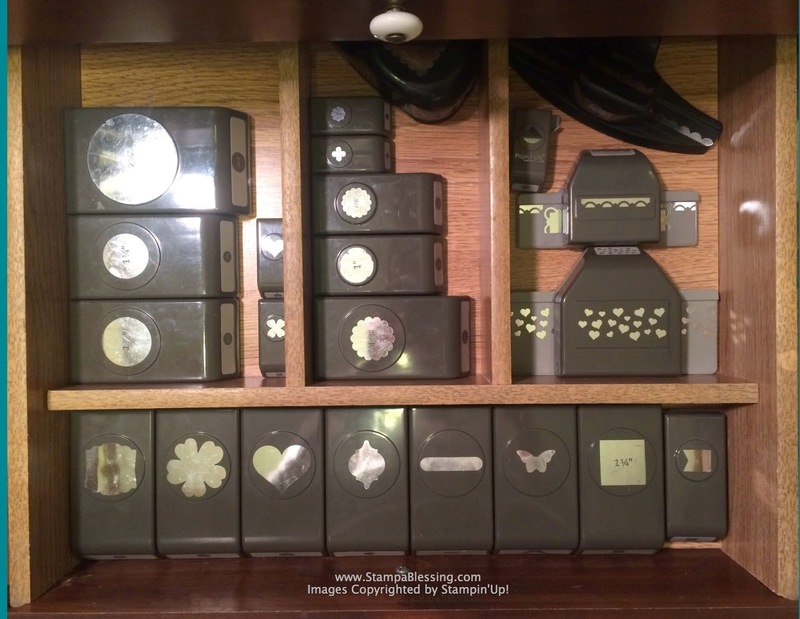 Bigger punches….I am starting to need more space, eh! This is actually my top drawer. They are shallow but hold these perfectly. God knew I needed this space. I have one with all my ribbons but was messy, I decided to leave it to your imagination. I love how I can keep all this hidden. My kids are so good with my stuff they never even open these. :) I taught them to ask. Did you check today's Weekly Deals? 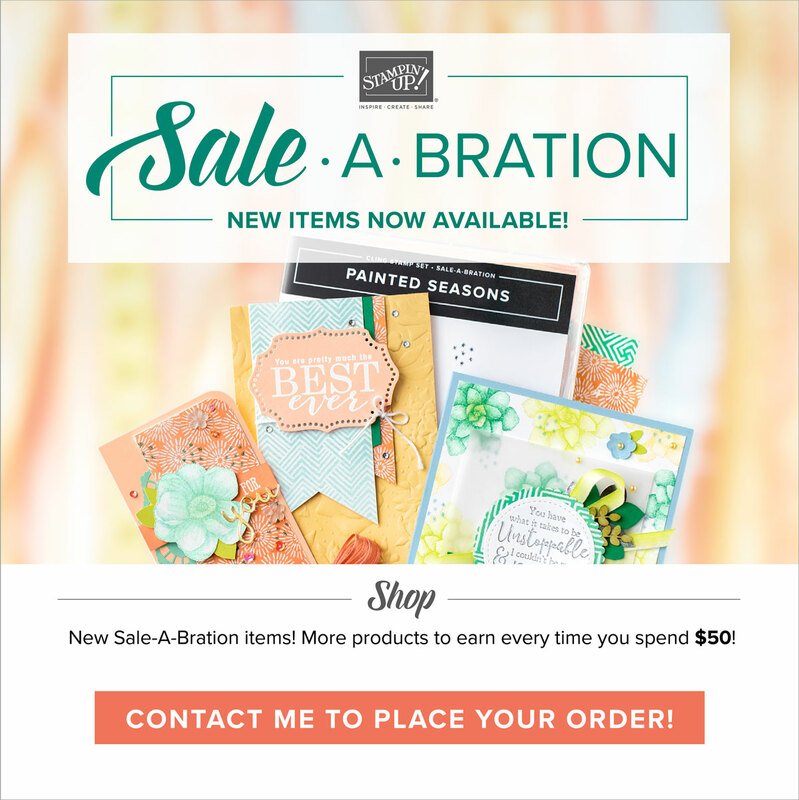 Every single Tuesday Stampin'Up! 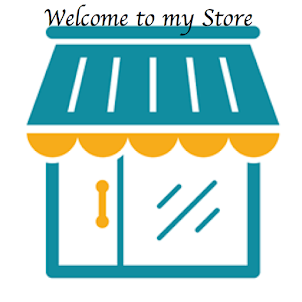 brings new deals for you to take advantage! See you tomorrow with some Paper Pumpkin inspiration and how I keep my stamps and left overs. I love your last line, best of all. Your children are precious and so good. I love them yet have yet to meet them! XOXOXO Fabulous organization Jessica; how lucky that things fit in perfectly; woo hoo! My mom used to say, if there's a mess under your bed, you'll have a mess in your head (or something like that). So true. I admire your organization, thanks for sharing!! Have a blessed day! (Oh, I love your pretty card, too!) Cheers! 😊 thanks Donna! 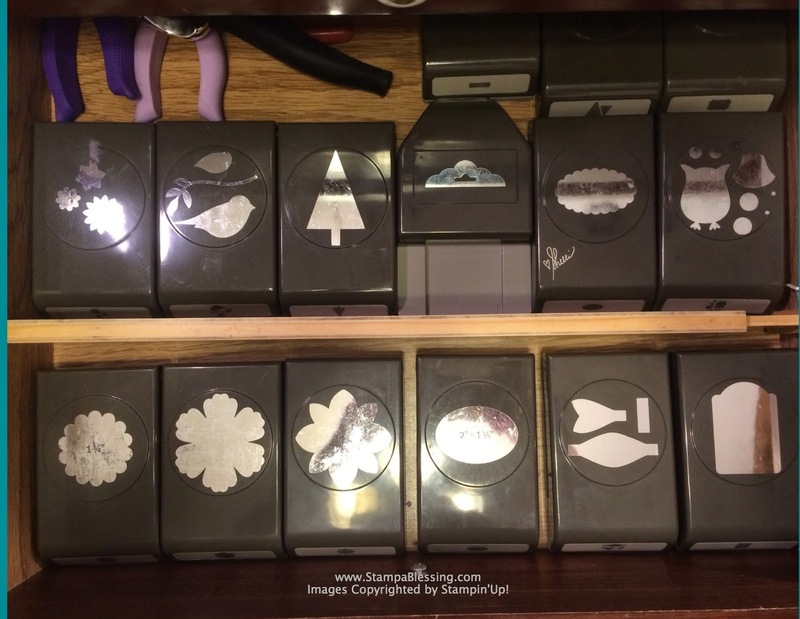 At least these drawers stay organized for the most part. I need to show you what I did with my papers! Cardstock and DSP! Love your mama's quote, lol!